TOKYO —Canon Inc. recently announced that it has developed a new CMOS sensor equipped with a global shutter function that, because it exposes all of the sensor's pixels at the same time, enables the capture of distortion-free images even when shooting fast-moving objects. Employing a new signal-readout drive system and new pixel structure that significantly expands the full well capacity and reduces noise, the sensor contributes to high-image-quality video capture by making possible the realization of a wide dynamic range. Standard CMOS sensors make use of the rolling shutter method, which sequentially exposes the pixels one row at a time. Because rolling shutters can create slight discrepancies in signal-readout timing depending on the location of the pixel, images of fast-moving objects may appear distorted and flash photography may result in the occurrence of the flash band phenomenon, in which the upper and lower portions of images display different levels of brightness. Because Canon's newly developed CMOS sensor employs a global shutter, when shooting such fast-moving objects as a rotating propeller or a speeding train, subjects are able to retain their proper form to create distortion-free images. Enabling the confirmation of object shapes with a high degree of accuracy, the sensor offers potential benefits in industrial applications, including as a sensor for use in inspection cameras. When the newly developed CMOS sensor converts light into electrical signals and stores the signal charge in memory, the new drive system achieves a significant expansion in full well capacity. Also, because it employs a structure that efficiently captures light and each pixel incorporates an optimized internal configuration, the sensor makes possible increased sensitivity with reduced noise. The expanded full well capacity, realized through the sensor’s new drive system, and substantial reduction in noise, enabled by the new pixel structure, combine to deliver a wide dynamic range, facilitating the capture of high-image-quality, high-definition footage even when shooting scenes containing large variances in brightness. 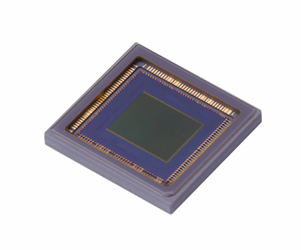 Canon will explore various industrial and measurement applications for the newly developed CMOS sensor and consider deploying it in the field of video production for cinema production applications, TV dramas, commercials and more.